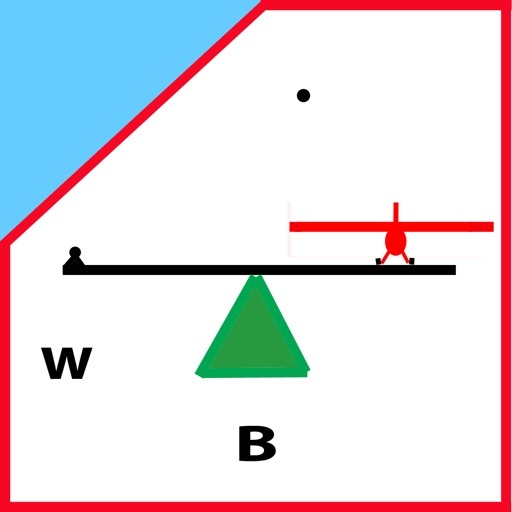 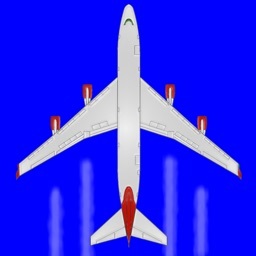 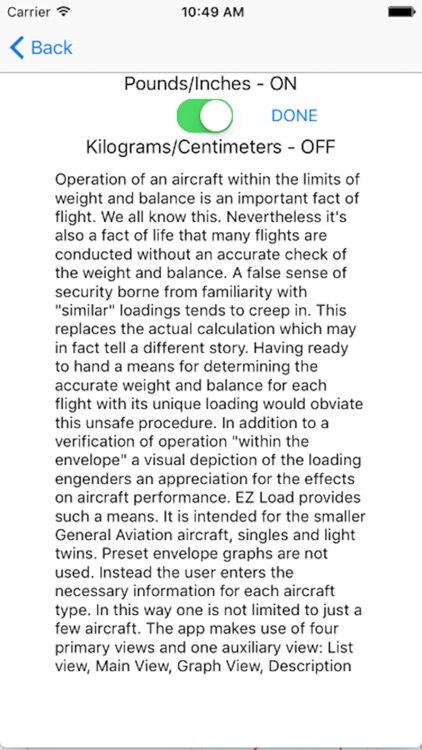 EZ Load is an iPhone/iPodTouch app for quick and convenient aircraft weight and balance determination. 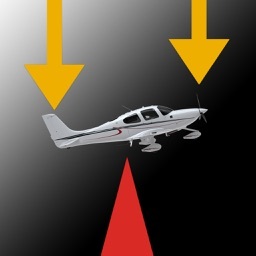 It is useful for the smaller general aviation aircraft, singles and light twins. 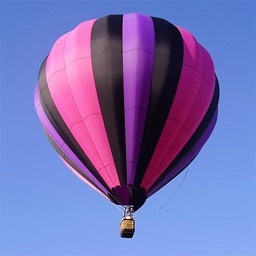 Though assurance that the aircraft is loaded within the allowed weight and balance limits is a required preflight activity, a fact of life is that often it is not accomplished. 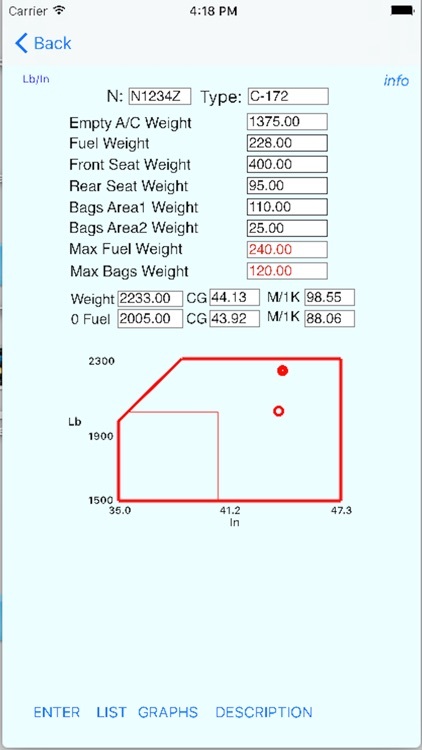 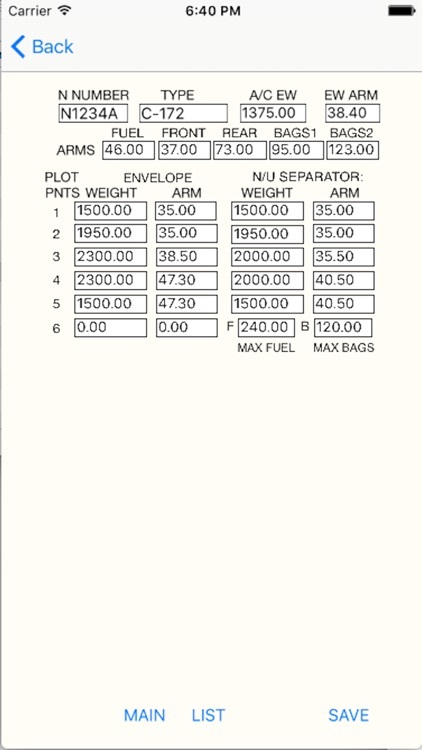 The manual calculation is time consuming and a false sense of security creeps in from “similar” loadings. 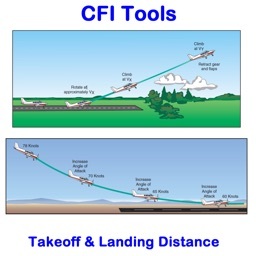 Providing this information in a quick and simple to use app results in this vital step becoming a painless part of preflight and a nagging, back of the mind uncertainty is removed. 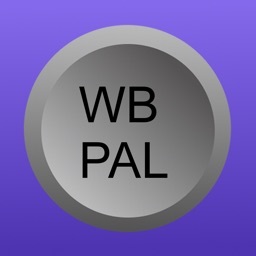 Last minute changes in loading are done readily on the spot. 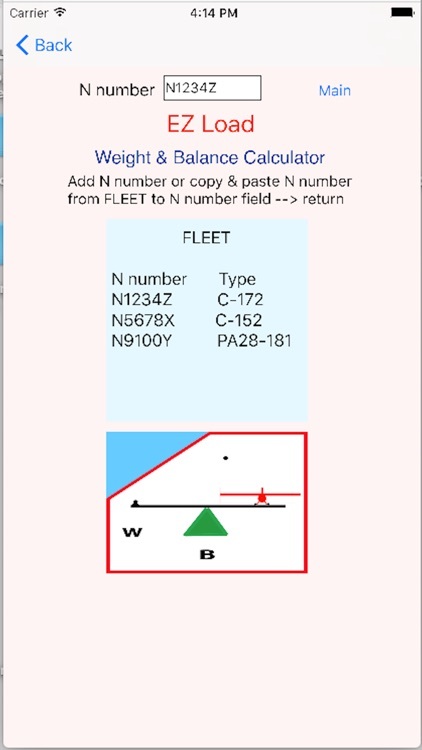 Any number of aircraft can be entered and saved in an easy to use format. 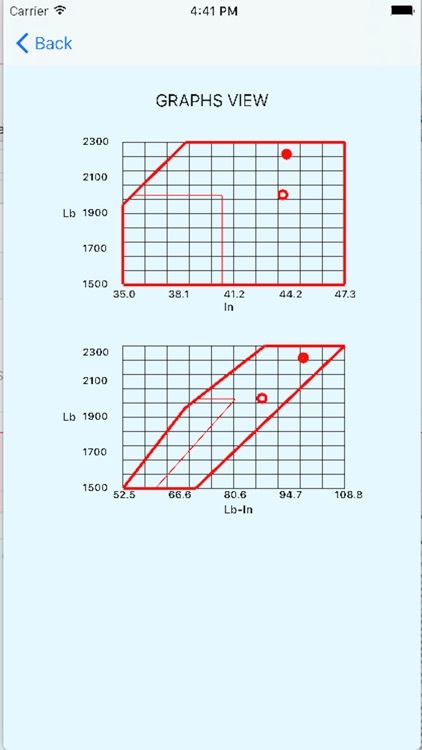 The results are displayed both numerically and graphically giving an immediate sense of margins from limits.